Pirelli comes to the Paris Motor Show supplying some of the most eagerly awaited models with original equipment and PNCS noise cancelling technology. From the Laferrari Aperta and GTC4 Lusso T to the Audi Q5, and Porsche Panamera to the Land Rover Discovery, Pirelli has developed tailor-made tyres for each model. The new LaFerrari Aperta will be exclusively equipped with P Zero Corsa Asimmetrico tyres in 265/30ZR19 at the front and 345/30ZR20 at the rear. Pirelli’s engineers, working closely with their counterparts at Ferrari, have increased the tyre’s contact patch to reduce understeer, improving the way that the car turns in and elevating overall grip as it travels through the corners. 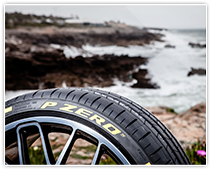 Pirelli reduced rolling resistance by a good 15% on the new P Zero tyres dedicated to the GTC4 Lusso T. This mission was accomplished by managing the deformation of the tyre and optimising the contact patch. 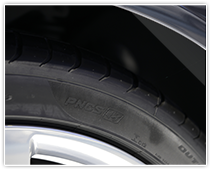 The Pirelli Noise Cancelling System reduces noise from the tyres by 2-3 decibels, which is equivalent to about half the total cabin noise, leading to a notable improvement in driving comfort. Pirelli has extended the application of its PNCS technology to a number of different models which will be launched during the Paris show. The Audi Q5 comes equipped with P Zero tyres complete with noise-cancelling technology. Pirelli’s engineers managed to maintain high levels of performance and driving pleasure while complying with the latest regulations regarding noise pollution and CO2 emissions. The same objective has been reached with the most recent Land Rover Discovery. The fifth generation of the classic British SUV wears Pirelli Scorpion Verde All Season tyres, from 18 to 22 inches. The biggest measurement makes use of PNCS technology. As well as the noise cancelling system, the latest Porsche Panamera – another key newcomer at the show – uses Pirelli P Zero tyres with Seal Inside technology. These are not only ‘quiet’ tyres, but they also have the ability to repair themselves in the event of a puncture.